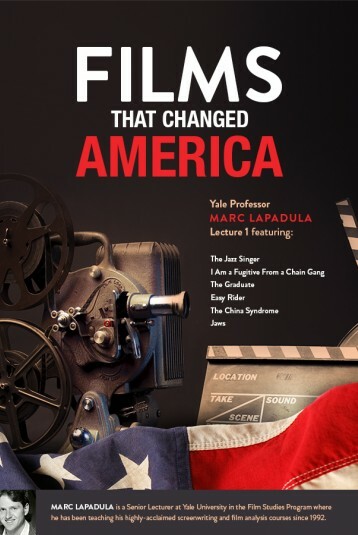 Marc Lapadula, M.A., M.F.A., is a Senior Lecturer at Yale University where he runs the screenwriting program. He also teaches playwriting and screenwriting for Johns Hopkins Writing Seminars. Marc has conducted Seminars and Lectures at the Smithsonian, National Press Club, National Constitution Center, Commonwealth Club in San Francisco and many other prestigious venues. Marc produced the film Angel Passing, which premiered at the 1998 Sundance Film Festival and went on to win many awards. Some controversial works of American cinema have left an indelible impact on our nation, films which brazenly defied the Hollywood imperative of providing vehicles of escapist fluff for mass consumption. These films instead cast a jaundiced or critical eye on our society, forcing us to come to terms with some startling realizations about the ever-changing and highly flawed world we live in. Some seemed even to care little for the box office, as they became far more concerned, even obsessed, with putting out a message. Often dark and down-beat, these movies pushed the envelope on viewers' expectations, bringing controversial topics into popular conversation. Join Marc for numerous clips, each followed by thought-provoking analysis, from such films as The Jazz Singer; I Am a Fugitive from a Chain Gang; The Graduate; Easy Rider; The China Syndrome; Annie Hall.